Filmed at The Paramount in Huntington, NY, Jim Breuer’s new special focuses on what his life (and all of our lives) truly consist of: dealing with the elderly, becoming our parents’ caretakers, parenting teenagers, and what it takes to be a “marriage warrior.” As an added bonus, Breuer also sheds some light on what it’s like to perform on “heavy metal-themed” cruises. It’s not nearly as glamorous as one might think. 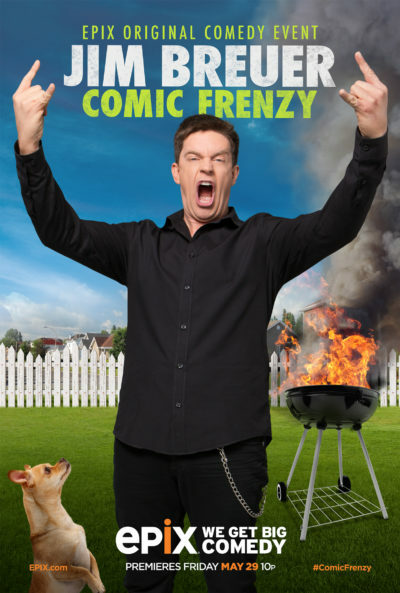 Join the conversation about Jim Breuer: Comic Frenzy on Twitter with #ComicFrenzy. (TV-PG).